It's that time of year again... We're seeking some brilliant volunteers to be a part of the Flatpack Team for our tenth festival. Flatpack 10 will include a signature mix of live events, film screenings, music and experimental art, as well as some great parties and exciting surprises. We want people who are passionate about film, art, and/or music and who want to contribute to the best Flatpack Film Festival yet. Each volunteer must be available to attend the Volunteer Meeting on Tuesday 12th April at 6pm. Our main Events Team work across all our venues to help deliver the festival programme to the public. Duties will vary depending on the venues, but typically include setting up, stewarding, helping to run the Flatpack box office, and helping out on our pop up cafe-bars. You’ll be at the heart of the action and the face of the festival! A smaller, specialised Marketing Team will work to fly the Flatpack flag in the run up to and during the festival. There will be opportunities to assist with a range of tasks, including flyering, brochure distribution, gathering feedback, and providing tips and guidance to the festival audience. We are also looking for volunteers to focus on running our family programme. We will need help with setting up venues, ushering and assisting the family workshop leaders to deliver events aimed at children. This year we are excited to be working with artists Lloyd & Wilson in bringing The Fox and Hedgehog installation to the festival. Borrowing heavily from the architecture of the public house, Lloyd & Wilson will build a functional, but temporary, pub environment, to encourage spontaneous and playful conversation modes. The installation will consist of a fully functional bar, provocative visual material, a designated screening space and an events programme. 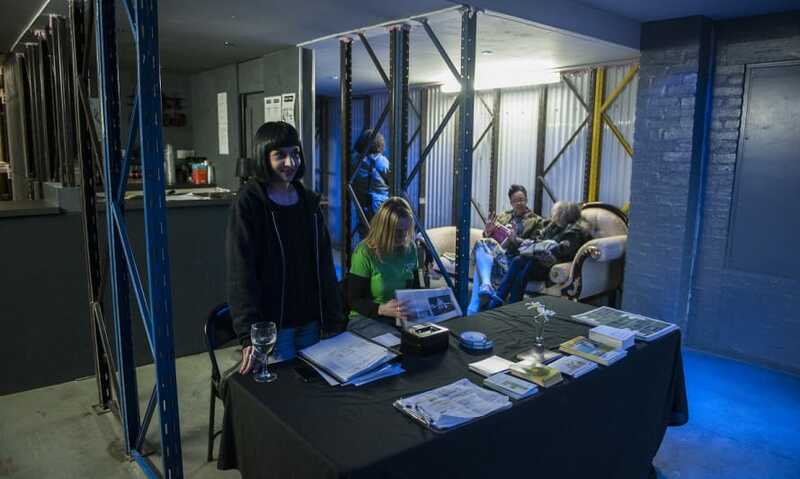 Volunteers will work alongside the artists to assist in all aspects of running a functional bar, as well as taking a critical approach to the project themes and visitors conservation. Volunteers must be available for an evening training session with the artists on Monday 11th April, as well as attending the Flatpack Volunteers meeting on Tuesday 12th April. Please specify on the application form if you would like to be considered for any of the additional teams. If you are passionate about the Arts, out-going and keen to promote a growing cultural highlight in the UK calendar, then complete our online application form by clicking here. We look forward to hearing from you! The closing date for applications is Sunday 13th March 2016.